If you’ve been in that situation, you probably know how hard it can be. It's almost impossible to stay consistent with your nutrition. Diet is the biggest component of weight loss and getting lean. And here’s the thing. A HUGE part of the problem may be the complexity of your diet. What's Stopping You From Getting Lean? Imagine you open two dozen tabs in your browser. Every extra tab opened demands more memory. All those tabs start slowing down your processor (your brain in this case). The result is you feel drained and stressed out. Your judgment gets clouded and you start defaulting to bad choices. Doing the groceries, cooking, figuring out what to order, meal planning, measuring portions… all those decisions require mental bandwidth. And that’s not all. All other daily tasks and chores have the same effect. They are processed by the brain and take up bandwidth. This is actually one of the reasons why many people gravitate toward overly simplified diets. Such as cutting out whole food groups. A good example are “mono diets”, such as eating only meat or only fruit. Decision making is very taxing. Every small decision you make during the day counts. The compound effect can leave you feeling like sh*t at the end of the day. The problem with these overly-restrictive approaches is they’re typically not sustainable. At least not as a lifestyle. Some of them can even be harmful to our health. On the other hand, in the more nutrition-conscious community, a lot of people are trying to be too flexible with their diet. They’re making things too complicated, thinking more food variety is always better. More is not always better. Your brain is already overwhelmed by the demands of daily life. You're probably juggling 10 different commitments at the same time. The last thing you want is more (diet) freedom. Remember the browser analogy? When our mental bandwidth is occupied, our ability to make rational decisions is severely crippled. We start making poor food choices. Even worse, we may be rendered unable to do make any choices. Research shows when people have too many options they end up picking none. Let's say you go to the store to get some veggies. You're presented with 20+ different options. That's too much choice. You don't want to risk getting something you won't like, or it isn't worth the money. The process of choosing is too taxing and stressful. But what if you go to a local family-owned store? You have only 3-4 types of veggies available. Deciding what to get won't take too much time, or require a lot of brain power. The more choices we have, the more we struggle to make up our minds. Not to mention we need more time for evaluating each option. When we make our final choice we’re less likely to be satisfied. We may even start to ponder on potential lost opportunities. 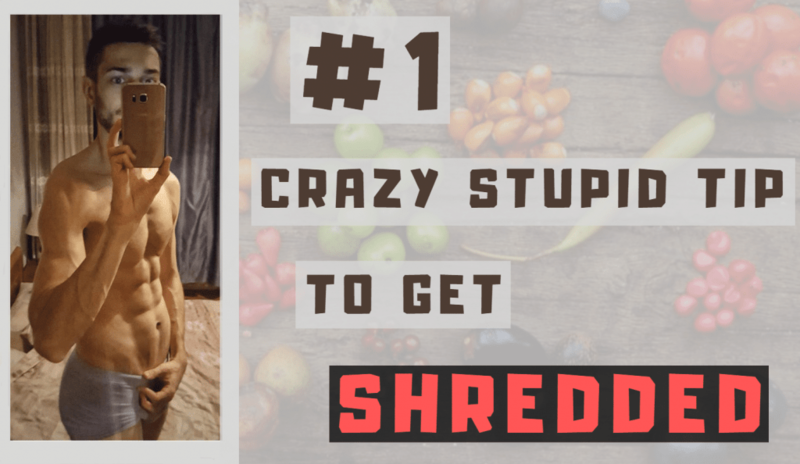 What's the Best Way to Get Ripped? Whether you’re an experienced dieter or someone new to the healthy lifestyle, simplicity is the key to success. Especially when you’re just starting out. Set some clear rules and devise a plan you’ll enjoy. All those tips above will help you create a structure instead of winging your diet. Doing the groceries requires no mental effort. I run through each aisle and pick only the things I have on the list. I also don't lose time snacking mid-day since the number of meals and timings are fixed. There's not a lot of variety in my diet, so I never have to wonder “what should I prepare for dinner today”. Some meals are identical every day. Breakfast is always whey shake + fruits. Eating out is limited to once a week. All this reduces the risk of blowing the diet. Everything is kept as simple as possible. Decision making is usually avoided. Most of the diet is based on routines and building sustainable habits. Still not sure where to start? Check out Mario's short video on the topic. You may argue too little choice takes away the freedom and pleasure of life. But it's usually the opposite. Wasting valuable time on non-essential tasks is what limits your freedom. You're also less likely to enjoy the positive results of the diet if you're stressed out all the time. Also, getting in shape requires some sacrifices. If it was easy everyone would be walking around with a six-pack. That's exactly why it feels so good once lean down. You worked hard and earned it. I wanted to share this with you guys because I see so many people over-complicate things. Don't be one of the many who fail. Don't get lost in the process. You want to be smart about things and set yourself up for success. Perfecting your nutrition strategy and customizing it to fit your exact goals takes time and skill. It’s not easy but it’s extremely rewarding. If you’re looking for help with creating an optimal nutrition strategy to get you to your goal, then I invite you to get in touch with us.